Whether you are a weekend athlete or an elite performer, osteopathy has a lot to offer you. As osteopaths we are trained to look at both the injury and the body as a whole, particularly its biomechanics and the strains placed upon it. Rather than solely treating the presenting injury, we look at the reason why it occurred there helping to prevent injuries from recurring. —- We have a sport injury clinic in Penarth, that opens Mondays – Fridays, please call ☏ 02920708350 to arrange for your appointment or leave us a message if it’s after office hours. As anyone participating in sport knows, injuries are frequent and can have long term consequences. They are most often caused by incorrect technique, over-training or an underlying body imbalance. During your assessment with us we will not only fully examine your injury but will also assess the way the whole body works and ask detailed questions about your training regime. Your physical assessment will vary depending upon the individual and the sport involved as the demands of a cyclist are very different from those of a gymnast. For the person wanting to keep fit and remain injury free, osteopathy can help keep your body supple and toned with increased flexibility. This will decrease the strain your sport places upon it and hopefully improve performance and reduce the chance of injury. For example tennis players trying to improve their serve, may strain their shoulder because of a restriction in rotation through the thoracic spine. What sports injuries can Osteopathy treat? 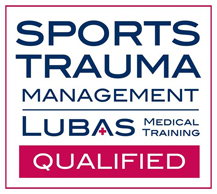 We can treat the majority of sports injuries. There are however some notable exceptions. Osteopathy is not able to treat acute dislocations, fractures or ligamentous ruptures. We are however, able to offer rehabilitation for these during the recovery phase. We would suggest that you call ☏ 02920708350 to discuss your injury and treatment options with us. What age groups can get sports injuries? Sports are performed by all ages of athletes and you can get different injuries in each age group. The younger age group are more vulnerable to developmental injuries, such as Osgood-Schlatter’s Disease. This is due to the high physical demands being placed upon their growing muscles and bones. The younger athlete is often under some pressure to perform at a continually increasing standard and can be prone to overuse injuries such as tendinosis. Other problems may occur as a result of incorrect training or a lack of flexibility or core training causing muscular imbalances which can then lead to further problems either later in their career or when they retire. The older age group of athletes are still vulnerable to injuries. These are often the result of many years of play which has led to imbalances throughout their skeletal system. This leads to too much strain being placed upon certain joints. For example, a veteran golfer swinging a club may find that because of restriction in their hips, they have to shorten their swing or put more strain through the knees or lumbar spine, causing discomfort or even pain. Older athletes are also vulnerable to re-occurrence of old injuries which may be treated through osteopathic treatment allowing them to get back to exercising sooner. The best thing to remember about sports injuries is that a fit and healthy body is more likely to recover from an injury and so even though they may be common, they also tend to be of a shorter duration. 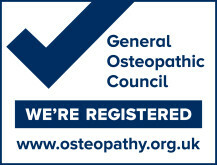 What can Osteopathy do that is different to other practitioners? As a practitioner I work purely with hands on treatment, and so do not use any form of ultrasound or heat lamps. This can be in the form of soft tissue massage, muscle energy techniques, manipulation and joint mobilisation to name a few. This is particularly beneficial for sports injuries because they respond well to direct work. I am also able to prescribe a variety of exercises to aid your treatment between sessions. Osteopaths undertake a four year degree course, giving them an excellent knowledge of anatomy, physiology and biomechanics as well as a highly developed sense of palpation. This allows us to diagnose and restore the body’s natural structural balance, to improve joint mobility and reduce soft tissue adhesions. This should lead to an improvement in your overall performance. Not only can we help the injured athlete, but we can also improve your performance by helping to finely tune your body to the demands your particular sport places upon it.